The 2018 Rigg Design Prize has been awarded to Melbourne design practice Hecker Guthrie. Creating a custom-made room in response to the theme of ‘domestic living’, lead designers Paul Hecker and Hamish Guthrie created an interior, The table is the base, which celebrates the table as a modest yet powerful object, often pulling and binding people together as they gather around it. By playing with the form and scale of the table, the installation prompts the spectator to question their relationship to and the aesthetics of the object. 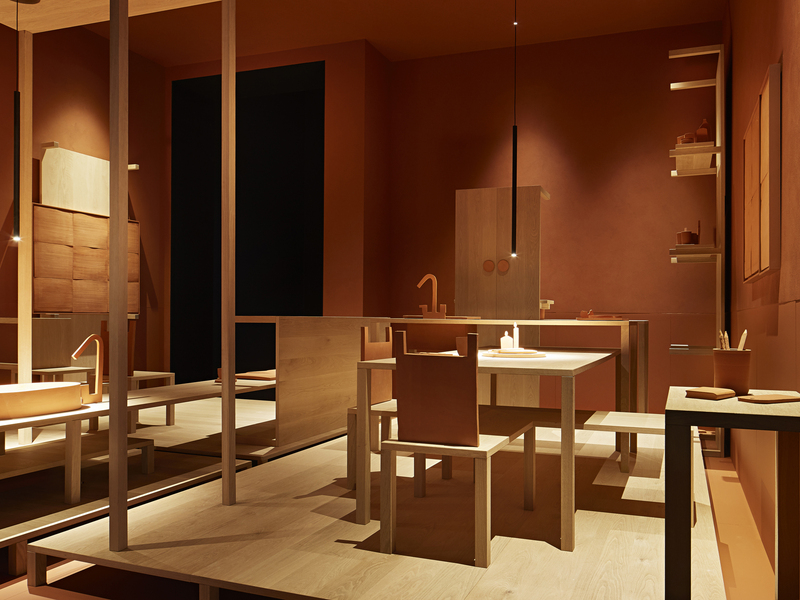 “Using only two elements – the simple form of the Parsons table and terracotta as material – the Hecker Guthrie project demonstrates the power of design restraint and curiosity at play,” says international judge Shashi Caan. “The Rigg Design Prize 2018 recognises the central role that interior design plays in our lives and reflects the NGV’s commitment to elevating the cultural value of contemporary design in Australia,” adds Tony Ellwood AM, director, NGV. The Rigg Design Prize takes place every three years at NGV Australia. It is a generous legacy of the late Colin Rigg (1895−1982), a former Secretary of the NGV’s Felton Bequests’ Committee, and is awarded to an Australian contemporary designer displaying outstanding creative achievements in design.